I’m thinking ahead to Thanksgiving and thinking this would make a great meal using leftover turkey. After all, all the ingredients for this recipe are on the Thanksgiving dinner shopping list. I’ve been loving my cast-iron skillet lately. I love how I can cook an entire meal in one pan. It can go from stove top to oven safely. It’s easy to clean and is a workhorse in the kitchen. I rely on it for easy meals because it heats up quickly and cooks evenly. 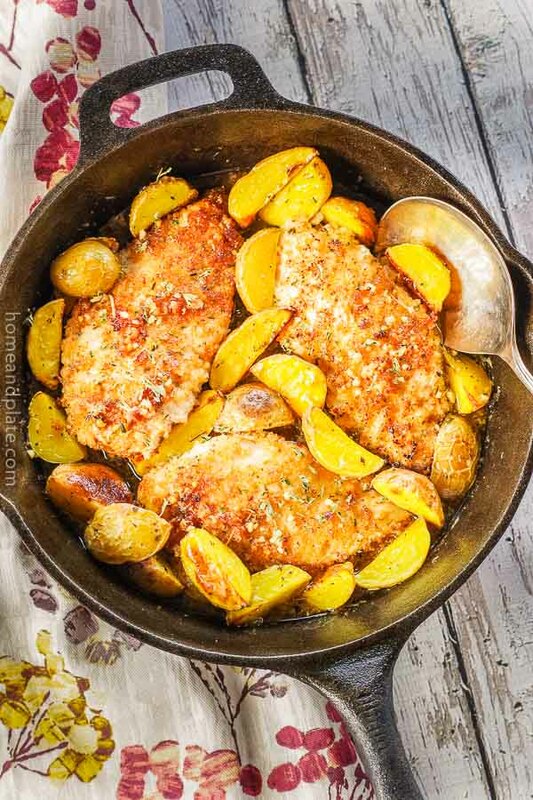 What kind of pan should I use for this recipe? 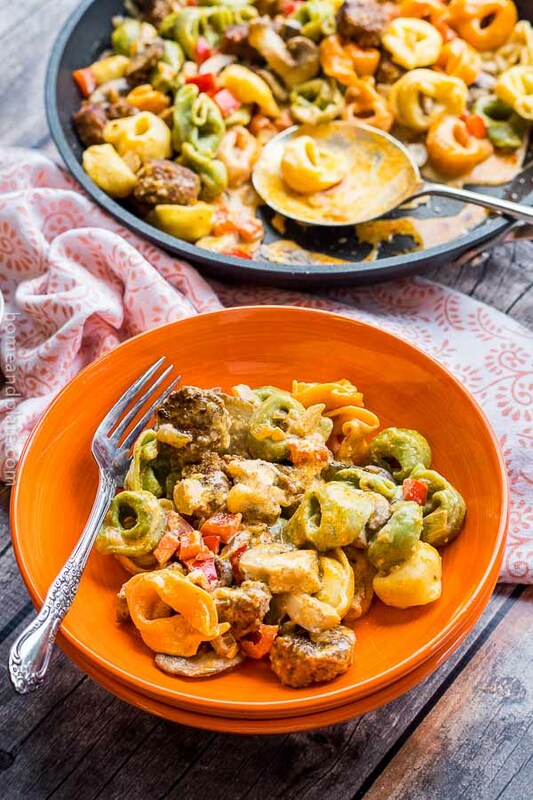 This dish uses a cast-iron skillet and bonus – it is so versatile. But any oven-safe pan will do. You can make this recipe for breakfast, lunch or dinner. Sweet potatoes are key to this recipe. I always have a few in the pantry as well as Vidalia sweet onions. Chop up a sweet yellow or orange pepper to add to the hash. It’s easy to chop up all the vegetables ahead of time to minimize your prep work. 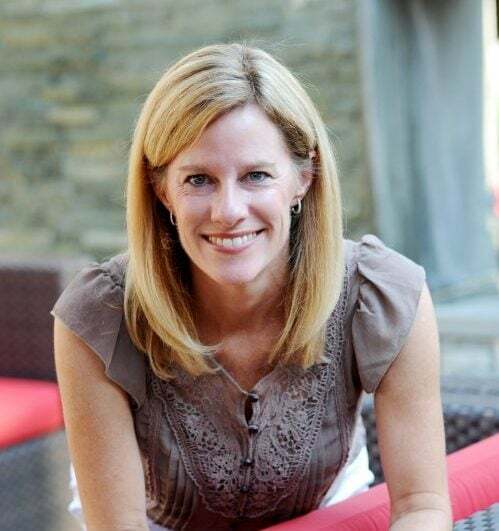 This comes in handy on busy weeknights after a busy day or weekend mornings when you’re just getting out of bed. Everything is in the fridge and ready to go. 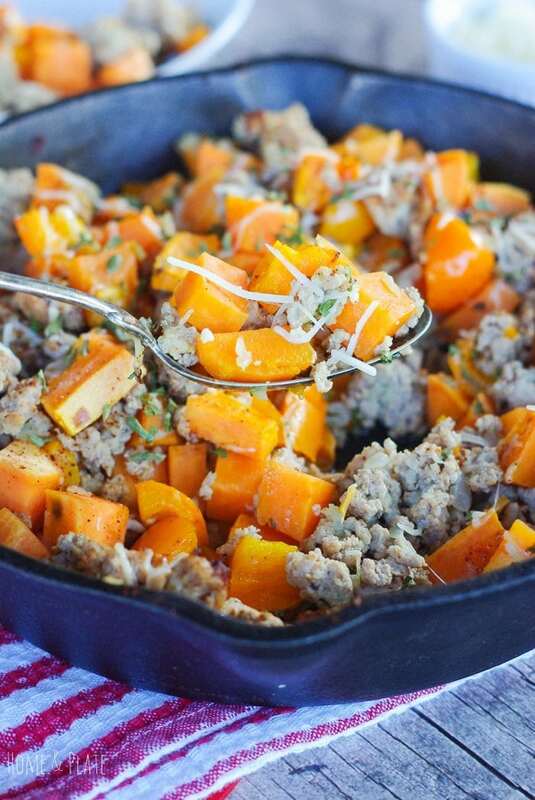 I used fresh ground turkey for this recipe because it’s a healthy alternative to sausage. I added cayenne pepper for a little heat and spice. A sprinkle of Parmesan cheese and a dash of parsley make for a pretty garnish. To turn this into a power breakfast, crack a few eggs on top of the hash skillet before baking in the oven. The eggs, like the potatoes, will need about 20 minutes before this dish is ready to serve. 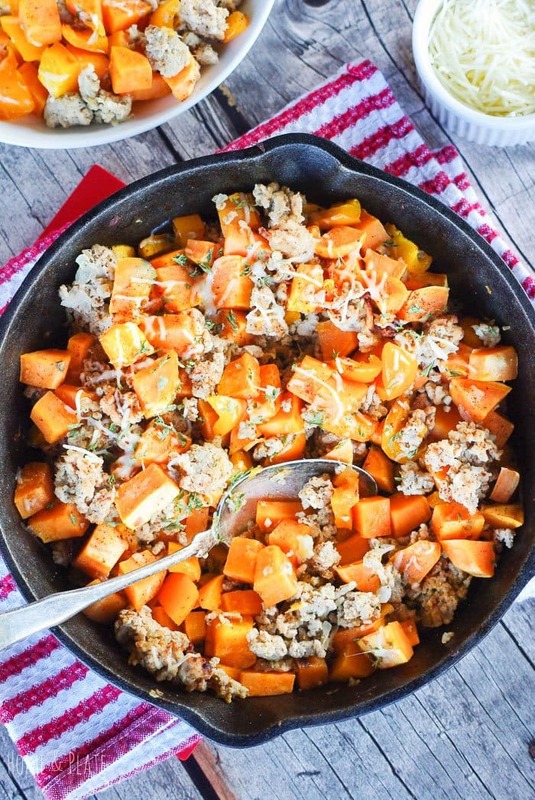 WANT TO TRY THIS GROUND TURKEY SWEET POTATO HASH RECIPE? PIN IT TO YOUR QUICK DINNER OR HOLIDAY BOARD TO SAVE FOR LATER! Preheat the oven to 425°F. In a large cast-iron skillet, sauté the diced onion and garlic in olive oil until softened. Brown the ground turkey until no longer pink. Stir in the bell pepper, sweet potato cubes and chili powder. 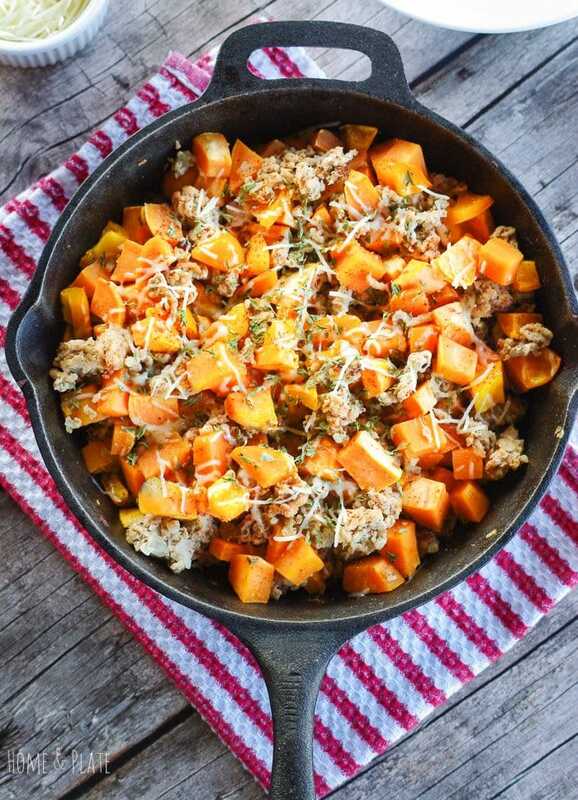 Place the cast-iron skillet in the preheated oven and bake for 20 minutes or until the sweet potatoes have softened. Top the hash with Parmesan cheese, parsley and additional chili powder if needed. Once the cheese has melted remove the skillet from the oven and serve. Crack a few eggs on top for a weekend breakfast before baking 20 minutes in the oven. Yum Yum!! I love the idea of sweet potato hash. This looks so delicious!! Can’t wait to try it!! I am so glad to hear this Emily. 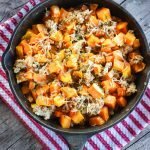 I love the idea of adding veggies to make this your own recipe and I am always a fan of a little sprinkle of cheese on top. Thanks so much! This is my kind of breakfast! I like to eat something that will sustain me through the day. For my dairy free diet I’ll switch the Parmesan for a sprinkle of nutritional yeast. Really looking forward to making this. Loving the 30 minute meals. This is a great dish, and the fact you can eat it either for brunch or dinner, well it doesn’t get better than this. Such pretty orange color ! So satisfying too ..I would love to serve this for brunch ! Or lunch or dinner. Delish anytime of the day. Thanks so much Syama. 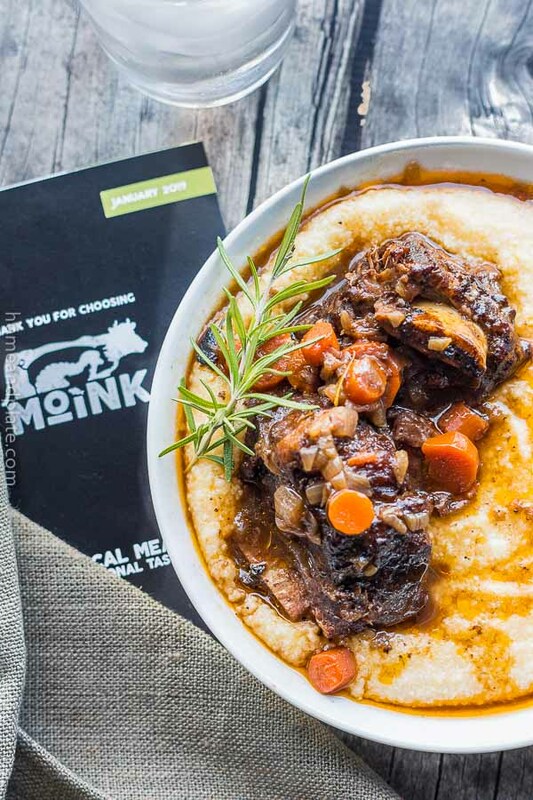 Love this dish for fall! Sounds super easy and delicious! Easy and on the table in 30 minutes. Thanks Jessica. 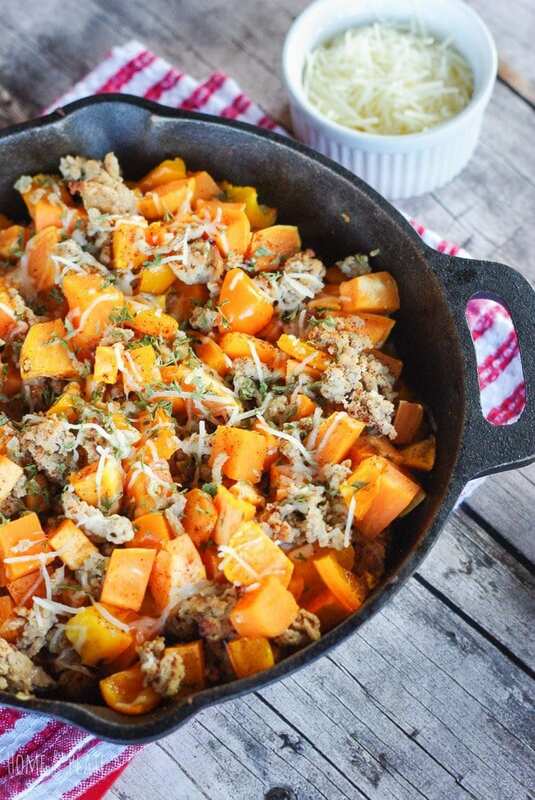 This looks like such a hearty and delicious dinner – too perfect for fall! Pinned. And easy to make too! Thanks so much.